You may be familiar with the tremendous life achievements of Jose Sarria, an integral player in the gay rights movement, but never before have you heard the intimate details of his incredible life as they are portrayed here. 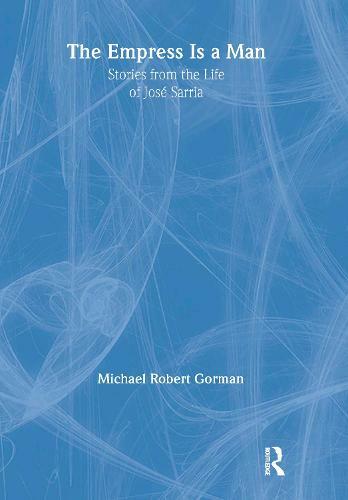 In The Empress Is a Man: Stories from the Life of Jose Sarria (winner of the Lammy Award in the transgender category), Michael Gorman exposes Sarria's life in a frank manner and with a unique storytelling ability that simultaneously causes amusement and sadness. Sarria's amazing life story tells of his perserverance to advance the cause of equality for gay citizens.At a time when gays were arrested, institutionalized, and castrated, Sarria did not try to hide his beliefs and convictions. Sarria was ahead of his time, becoming a significant figure in gay history and culture. You'll find The Empress Is a Man fascinating as you read about the life of this truly courageous, outrageous, and remarkable man. Some of Sarria's experiences and achievements you'll read about include: being the first openly gay male to run for political office being one of America's most important female impersonators entertaining throughout the world, live and on film postitively affecting the gay community founding an extremely successful charity fundraising organization being featured in a PBS documentary serving in the Army in The Battle of the Bulge in WWIIUntil recently, gay and lesbian stories were published in very limited venues and often at great personal risk, forcing knowledge of this history to be passed down orally. The Empress Is a Man reflects this tradition by telling much of the story in Sarria's own words. Adding to the enjoyment and originality of this book is a structure similar to the dramatic style of a play or novel. Each section ends with an exciting climax, although the book is chronological in order. The Empress Is a Man is an untraditional book about an untraditional man.